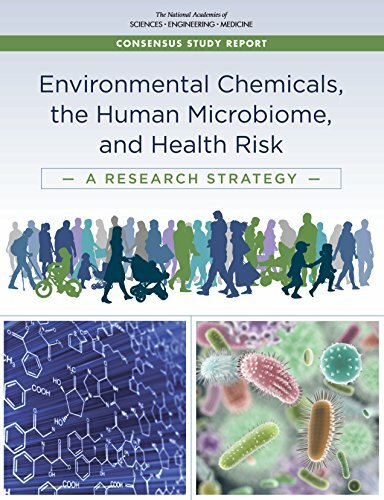 This report is a short book in length, but a slow read if like me, you do not have extensive background in microbiome research. Absorbing a minimum of terminology used in the field is necessary to follow it, and up front, the pros admitted that when they came together, they were not using all terms the same way either. However, I plowed through the report for three reasons. First it is an interdisciplinary review of very complex systems. Second it addresses the effects of environmental chemicals on microbiomes. Finally, it is a contemporary peek at a fast-moving field of study. Why is microbiome research taking off? Perturbations of human microbiomes are associated with a huge range of disorders and diseases: gastrointestinal, neurological, oncologic, cardiovascular, hepatic, respiratory, psychological, and autoimmune – anything that ails you. We’ve only learned that because ability to computationally assess hordes of microbes by their separate DNAs has rapidly advanced. Beyond that, this report covers attempts to discover how the body’s immune systems resist attack by chemicals on the loose, 60-80,000 industrial chemicals as well as pharmaceuticals. Our microbiomes contain at least ten times as many microbes, viruses, and other teeny critters than we have cells in our bodies. Acting in symbiosis as colonies, they support our immune systems – or maybe they are our immune systems. Without microbiomes, we would die. And not just humans; all plants and animals depend on microbiomes too. These essentials of all life remain unseen by the naked eye. Most of us have heard of the human gut microbiome. We’ve long known that eating more fiber improves lower gut microbial action, and about five years ago oral probiotic concoctions suddenly became popular (their effectiveness is questionable). However, the gut has multiple microbiomes, and we have many more microbiomes outside the gut: in the mouth, on the skin, in the lungs. Every body cavity has its own microbiome. Some, as in the lungs, are seemingly impossible to isolate and study in a living being. While researchers are learning quickly, they’re multiplying the questions they should ask faster. Microbiome interactions are foggy. Most findings are statistical correlations, analogies from animal microbiome studies, or in vitro lab replications of microbiome action inside the body. Precise cause and effect actions can only be inferred. That’s expected in living complex systems, constantly interacting and changing. In the forefront of complexity muddles, Microbiome research aims to clarify the role of microbiomes in modifying human susceptibility to toxins. It will be a success if studies only roll back some uncertainty, so toxicity testing becomes more predictive. No one expects to find ironclad linkages, as in macro level mechanics. Discovery of any simple deterministic rules for microbiome behavior would be an unexpected plus. Microbiomes vary from person to person and with each person’s environment. Hunter-gatherer tribes have a significantly greater range of microbiota in their gut than do urban denizens far removed from nature. Gut microbiomes adjust quickly to changes in diet. They strengthen in youth and diminish in old age as immune systems weaken. How microbiomes are primed in babies influences their future health. A strong, diverse microbiome reduces an infant’s risk of asthma and allergies. An open question is whether formation of an infant’s microbiome influences development of autism; however, adult autistic people are predisposed to gut permeability – microbiome problems. Human microbiomes vary with socio-economic status, pregnancy, and of course, their hosts’ disease states. If you are sick, so is one or more of your microbiomes. If we want to promote preventive health care, maintaining healthy microbiomes is a key. The best way to reduce the cost of curative care is not to need it. But what about microbiomes and chemicals? Microorganisms can and do metabolize chemicals, but how? At what concentration does a chemical overwhelm a microbiome, breaching the wall (epithelial layer) between microbiome and blood flows? How can we know whether metabolism breaks down a toxin into something benign, or first into an even more potent toxin? The scientists writing this report insist that future toxicity tests must consider microbiomes as a whole. Testing one chemical at a time can never be as predictive. The authors propose venturing as far from reductionist piecemeal analysis as possible, but a great deal of basic work is necessary to advance this approach. For example, thousands of referent genomes have been compiled for bacteria, so assessing a microbiome’s composition of bacteria is coming along. However, no comparable database is available for viruses and fungi; they are important too, but their compositional changes are almost unknown. The methods in use now are yielding interesting studies. For example, one screening of 1000 non-antibiotic drugs found that 24% of them would inhibit at least one strain of bacteria in a human microbiome. All this is a warm up. It’s needed to investigate how microbiomes process environmental chemicals. Don’t look for a fast breakthrough, but scientists are chipping away at it.